Thousands of years ago in the Nazca desert, the ancient Peruvians left the world one of the most surprising testaments to their civilization: Nazca’s lines — the Peruvian desert’s geoglyphs. Legend goes that the motifs designed into the desert’s land was meant to be admired by the gods in the heavens and only gods. Today, thanks to the invention of aircrafts, we can turn ourselves into the ancient’s deities for an hour and observe their marvelous anthropological creation. A riddle wrapped in an enigma, the first writings regarding these landscaped motifs were found in the chronicles of the Spaniard Pedro Cieza de Leon in 1547. They glyphs were later rediscovered in the twentieth century, and it was Maria Reiche’s mathematical analyzations that brought an astrological aspect to the geoglyphs. Her findings have been accepted by the scientific community. The humongous figures contain a perfected mathematical element that is overtly advanced when compared for civilization at that time. Latest findings tell us that the ancient people of Peru created the lines of Nazca to find water in the desert. The lines have been preserved by Nazca’s great plains which have a constant dry climate and a stable temperature of 77 degrees Fahrenheit (25C). This allows the dry atmosphere to act as a sealant to trap cold air into the glyph’s 30 cm crevices which in turn helps keep sand out of the grooves and prevents erosion. The Nazca culture was one of the most ancient civilizations that thrived in Peru until 600 B.C.E. They are renowned for having the skills to survive in a hostile environment where water only came 40 times a year. Their only hope for survival in the desert wasteland was to create and invent their own type of hydro engineering through the use of underwater wells and aqueducts. They lived in a theocratic political system and created the Nazca’s lines in forms of marine life motifs as offerings to the gods to bring them water during the dry seasons. The glyphs were made through a complex geometrical system that perfected the designs, and through the use of stones, they elaborated their grooves. The designs were anticipated preemptively, and wooden stacks acted as markers for the workers creating the motifs. 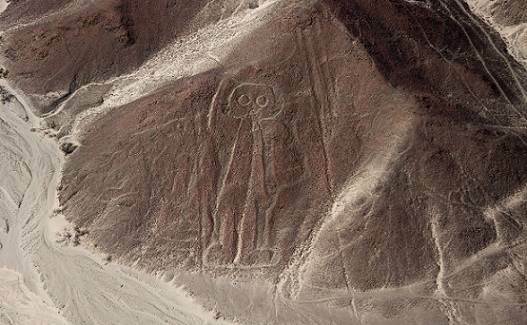 The motifs were not the only thing the Nazca are famed for. They also expertly created beautiful ceramics, and left works on high geographical reliefs. It’s said that the Nazca loved to leave no space unadorned. 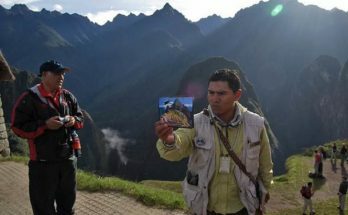 Mystery Tours is an agency that offers a tourist packet for a full-day excursion from Lima to Nazca. From their hotels in Lima, guests are shuttled in private cars to an air field. 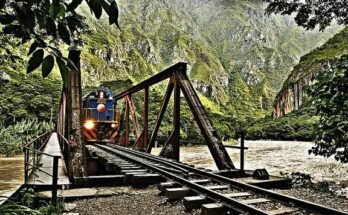 Along the way, clients will be taken to places of interests in Ica and Palpa. Once at the air field, guides will give a 40 minute presentation regarding the Nazcan geoglyphs. Then, they will be taken to planes and will fly over the glyphs. Within 35 minutes of take-off, the first figures will become visible. Within 35 minutes, guests will bear witness to the Humming Bird, the Monkey and the Whale. Many other glyphs will come into view afterwords. The aircrafts used are small with only room for five passengers, so it is wise for guests to plan accordingly. 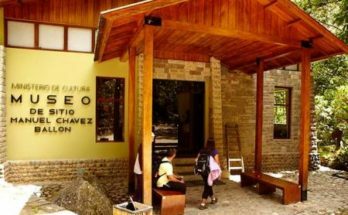 After the air tour and before returning to Lima, dinner will be served at a local hotel. Nazca is a very dry and arid place. It’s recommended to take plenty of water and sunblock, not to mention sunglasses. Additionally, Mystery Tours pick up their clients at 5:30 in the morning, so remember to get plenty of rest the night before.